Delicious. Wholesome. Simple. That's how we roll. So when does Fall end and we officially transition to winter exactly? Whatever that arbitrary divide is, I have a feeling that we’re getting dangerously close, and the recent temperature drop has not helped one bit. If you ask me, I’m just going to say that as far as I’m concerned, it’s Fall until we get to December. And as it is still Fall, I wanted to share a recipe that uses probably the most underrated, yet equally, if not more delicious Fall fruits: Pears! 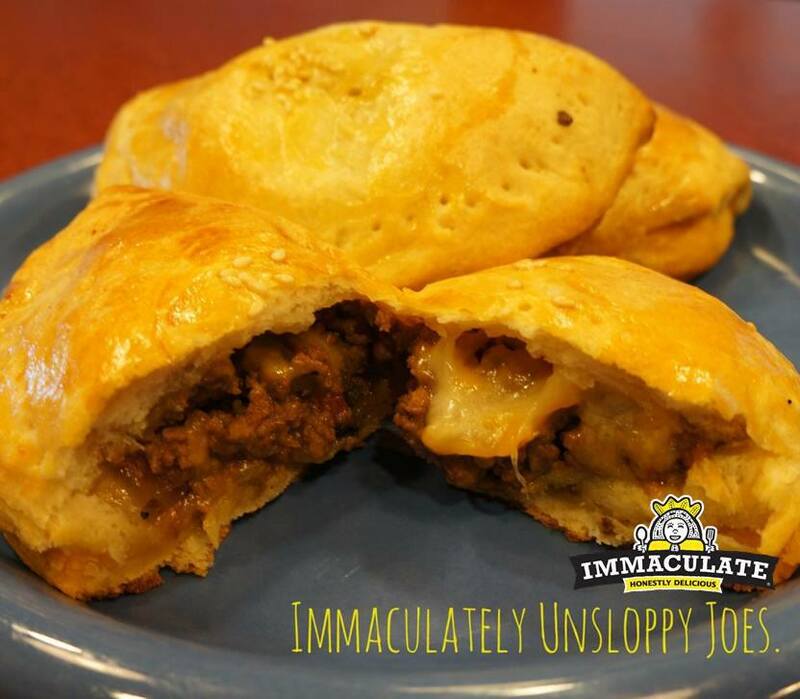 We reposted our Immaculate Apple Pie recipe on Facebook the other day, and I’m guessing our Immaculate Bakers are already so pro that apple pies are just too “meh” for you. 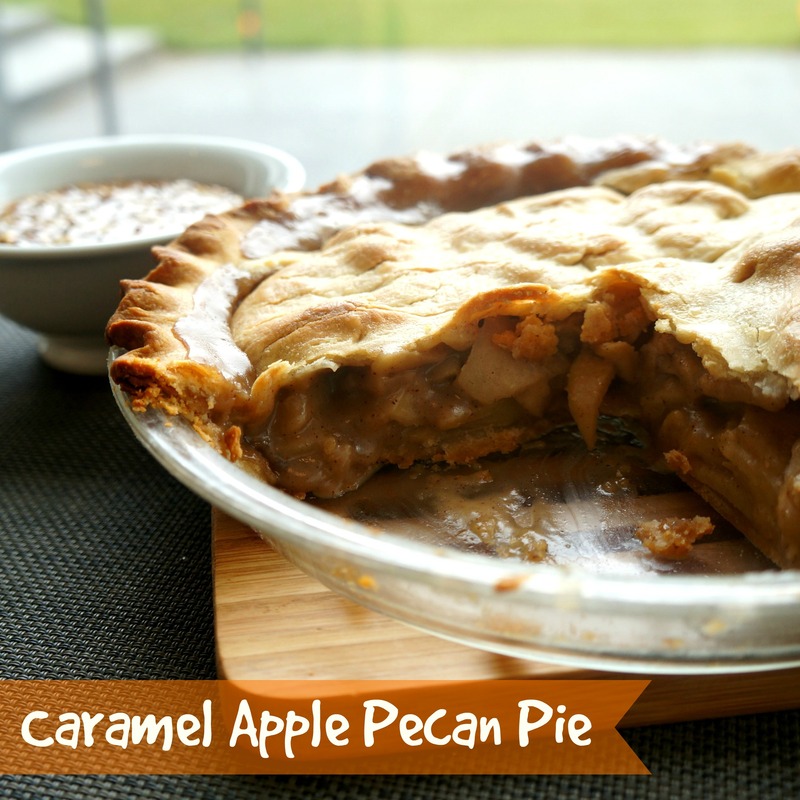 So we thought we’d fancy it up just a tad with this Caramel Apple Pecan Pie! I’ve discovered that the best things in life are often the simplest. Like marveling at how the colors of fall just flame on overnight. Or ike hanging out with friends and family on a brisk autumn weekend, very much like today, and enjoying a simple brunch. 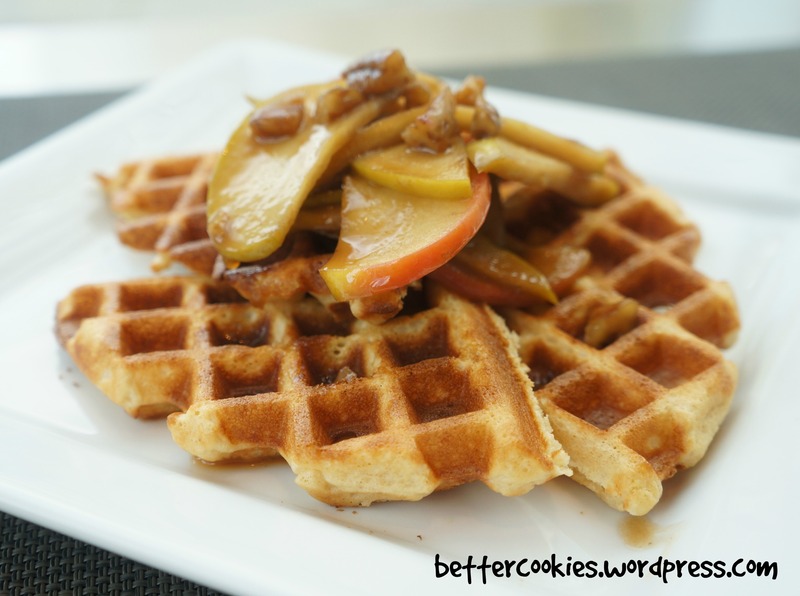 Waffles topped with apples and pecans. The taste of Autumn piled high on a plate. There’s nothing fancy to it, it’s incredibly easy to make, and the yummy taste is one that we’re all familiar with. Yet we come back for it again and again, because the best part about a simple waffle brunch, is that it brings family together for a yummy chow. In 12-inch pan, melt butter over medium heat. Stir in remaining Apple Syrup Topping ingredients. 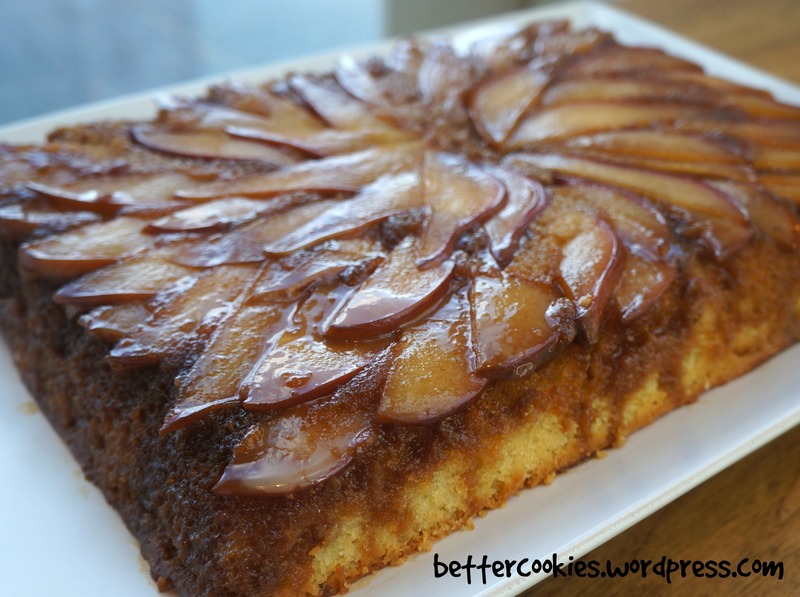 Cook about 5 minutes, turning frequently, until apples are cooked and brown sugar and butter become a syrup. Keep warm. Heat 6-inch round waffle maker as directed by manufacturer. In medium bowl, stir Waffle ingredients together with fork or whisk until smooth. For each waffle, pour about 1/2 cup batter onto center of greased waffle maker; close waffle maker. Bake about 5 minutes or until steaming stops. Remove carefully. Serve with topping. 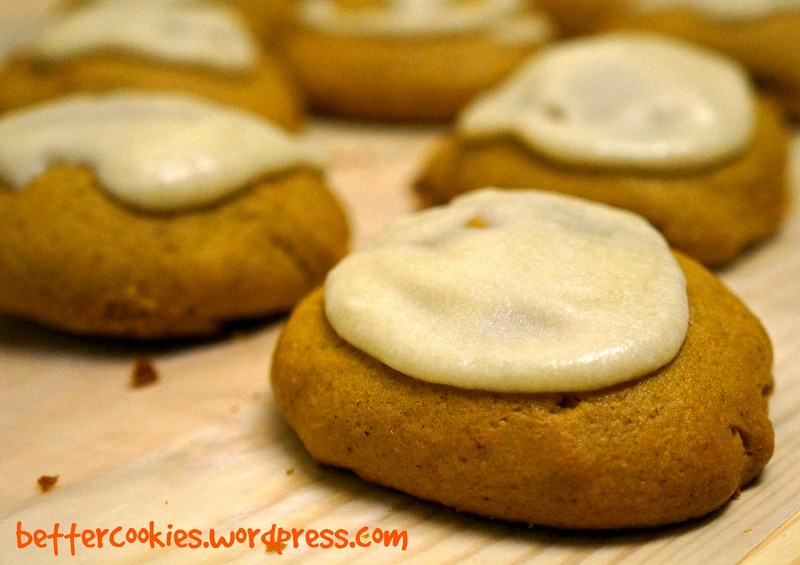 Pumpkin Cookies with Brown Buttered Frosting! I was recruited last minute to go and cheer for a a couple of my friends at their 10-miler race last weekend. I had been on cheerleading duty the year before with one of the girl’s who’s running this year. She was thoughtful enough to have baked up treats for the runner last year, and obviously wouldn’t be able to do that again this year since she’ll be in the race herself. I thought I’d carry the torch on, but it was already in the middle of the night when I decided that I’d bake something sweet. The only ingredients I had on hand was flour, sugar, brown sugar, butter and some pumpkin puree from another recipe I just made earlier in the day. The obvious answer that would marry all those ingredients together perfectly was… Pumpkin Cookies! We actually have another Pumpkin Spice Cookie version that uses our refrigerated cookie dough, but if you’re a die-hard scratch baker, and is just as mesmerized by the idea of making something completely from scratch, well, this would be just the recipe you’re looking for! Heat oven to 375°F. In large bowl, beat granulated sugar, brown sugar, 3/4 cup butter and 1 teaspoon vanilla with electric mixer on medium speed, scraping bowl occasionally, until well blended. Beat in pumpkin and eggs until well mixed. On low speed, beat in flour, baking soda, cinnamon and salt. On ungreased cookie sheets, drop dough by heaping tablespoonfuls. Bake 10 to 12 minutes or until almost no indentation remains when touched in center. Immediately remove from cookie sheets to cooling rack. Cool completely, about 45 minutes. In medium bowl, place powdered sugar, 1 teaspoon vanilla and 3 tablespoons milk. In 1-quart saucepan, heat 1/3 cup butter over medium heat, stirring constantly, just until light brown. Pour browned butter over powdered sugar mixture. Beat on low speed about 1 minute or until smooth. Gradually add just enough of the remaining 1 tablespoon milk to make frosting creamy and spreadable. Generously frost cooled cookies. It’s that time of the year where it’s all about apples, apples and more apples! We thought we would “Fall” right into the season with these super easy Apple Caramel Cinnamon Rolls! 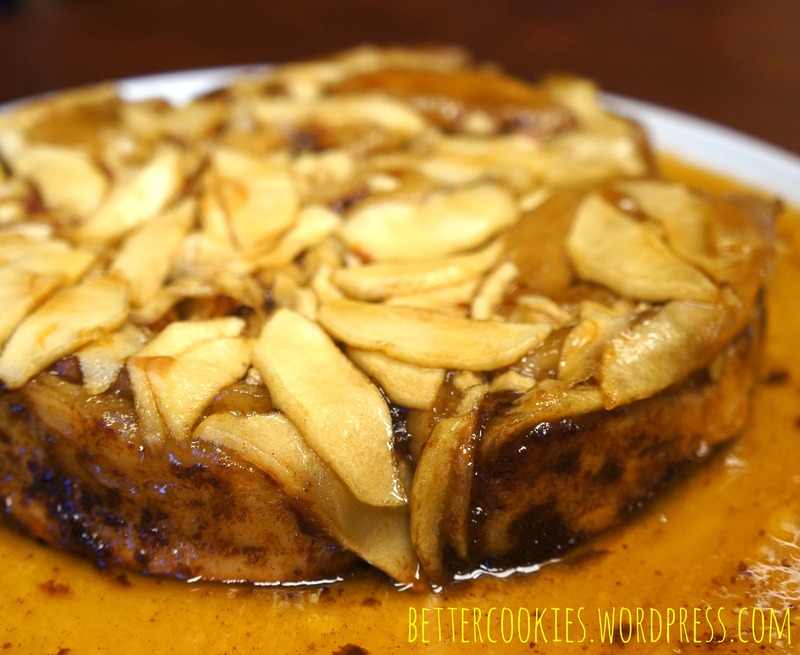 It’s apples, and a lot of yummy syrupy brown sugar, all of which goes over your favorite Immaculate Baking cinnamon rolls, I’m not sure what more needs to be said, except, DIG IN!! Preheat oven to 350 degrees. Spray a round glass pie plate or cake pan with cooking spray. Spread 1 cup of the apples inside. Take rolls and separate into 5 rolls. Stuff all 5 rolls as is into the pan. Add remaining 1/2 cup apples and pecans and toss to mix. Reserve icing. In small bowl, mix butter and brown sugar until well blended. Pour brown sugar mixture into pan. Bake 28 to 38 minutes or until deep golden brown. Cool 5 minutes. Invert onto serving platter. Drizzle icing if desired over warm rolls. Serve immediately. I can’t believe that I’ve been blogging about baked goodies for this long, and not once had I posted about Monkey Bread! Okay, in my defense, I don’t own a fluted pan or whatever that thing that you bake the biscuits in is called, AND more importantly, having already gained at least 10 pounds since I’ve started on this desk, any sort of Monkey Bread would just END ME. Oh but enough about me and my monkey bread complex. It’s time for you to get your oven on! 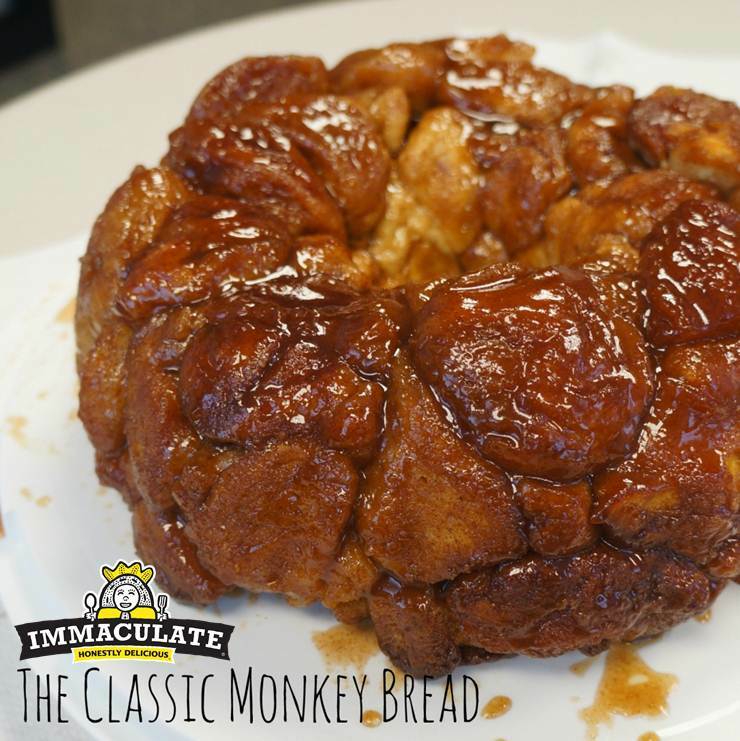 Feel free to add some raisins or walnuts to put a personal touch to your monkey bread! Heat oven to 350°F. Lightly grease 12-cup fluted tube pan with shortening or cooking spray. In large -storage plastic food bag, mix granulated sugar and cinnamon. Separate dough into 16 biscuits; cut each into quarters. Shake in bag to coat. Arrange in pan, adding walnuts and raisins among the biscuit pieces. In small bowl, mix brown sugar and butter; pour over biscuit pieces. Bake 28 to 32 minutes or until golden brown and no longer doughy in center. Cool in pan 10 minutes. Turn upside down onto serving plate; pull apart to serve. Serve warm. Where did all the time go? And now we’re right back at the beginning of a brand new week. Must. Figure. Out. What. To. Serve. For. Dinner.